In the early nineteenth century, a series of murders took place in and around London that shocked the whole of England. The appalling nature of the crimes-a brutal slaying in the gambling netherworld, the slaughter of two entire households, and the first of the modern lust-murders-was magnified not only by the lurid atmosphere of an age in which candlelight gave way to gaslight but also by the efforts of some of the keenest minds of the period to uncover the gruesomest details of the killings. These slayings all took place against the backdrop of a London in which the splendor of the fashionable world was haunted by the squalor of the slums. Sir Walter Scott, Lord Byron, Thomas De Quincey, Thomas Carlyle, Percy Bysshe Shelley, and others were fascinated by the blood and deviltry of these crimes. In their contemplations of the most notorious murders of their time, they discerned in the act of killing itself a depth of hideousness that we have lost sight of, now living in an age in which murder has been reduced to a problem of social science and skillful detective work. 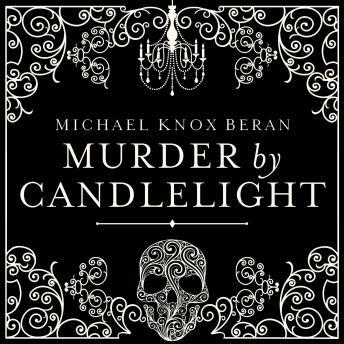 Interweaving these cultural vignettes alongside criminal history, acclaimed author Michael Knox Beran paints a vivid picture of a time when homicide was thought of as the intrusion of the diabolic into ordinary life.